Home / 20th Century Fox / movie / Percy Jackson: Sea of Monsters / press release / Teen Demigods' latest perils unleashed in "PERCY JACKSON: SEA OF MONSTERS"
Teen Demigods' latest perils unleashed in "PERCY JACKSON: SEA OF MONSTERS"
The much adored teen demigod Logan Lerman aka Percy is back in "Percy Jackson: Sea of Monsters" to face his most perilous adventure based on Rick Riordan's best-selling second book of the same title. Following the successful wave of the first movie "Percy Jackson: The Lightning Thief," the latest adaptation, 'Sea of Monsters" brings Percy along with his friends in uncharted waters to battle terrifying creatures and the ultimate Evil to retrieve the Golden Fleece and bring it back in time to save their world. 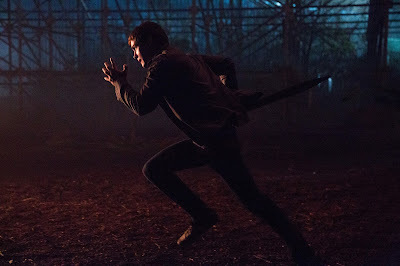 Lerman says that after two movies playing Percy he knows his way around a sword. So is he a dangerous man to be around? "I think so," he laughs. "But then, I think anyone would probably be. I think it's pretty easy. You just chop." The demigods return when "Percy Jackson: Sea of Monsters" opens August 7 in theaters nationwide from 20th Century Fox to be distributed by Warner Bros.